How Do You Handle URLs in Citations? We had a discussion in our ProGen class about how much to include of the URL of a website in a citation. There were a variety of opinions and so I went searching for an answer. The uniform resource locator or URL is the series of numbers and letters that forms the web address. It appears in your browser window and begins with http://. Sometimes it is very short but sometimes it is very long. Use the entire URL address. Jill Morelli, “How Do You Handle URLs in Citations?” Genealogy Certification: A Personal Journey, 7 March 2014 (http://tinyurl.com/kmj9esc : accessed 7 March 2014). Include the citation information around this link and you end up with six to eight lines for every footnote, sometimes consuming half of the page. Why not use a TinyURL if you only wish to locate the source in the future–that works, doesn’t it? No, it doesn’t. What if the link is broken? What clues are you or the reader given to enable you to find the source again? The TinyUrL gives no clue as to which source you consulted to obtain the information. However, the long URL in the example above has embedded within it the site name of ancestry and information about the type of record and the name of the individual of interest. Tom Jones, in his book, Mastering Genealogical Proof doesn’t even mention ease of retrieval as a reason to cite your sources. Instead, he describes citations as indicative of an exhaustive search and our use of “least error-prone sources” and to document our findings. But if the citation uses a TinyURL, how can you determine if you have done a thorough search? You have no idea if the author cited Wikipedia or a peer reviewed journal article. You also are hampered in predicting the probability of error. The use of a TinyURL also does not assist in documenting findings. I do not recommend using a TinyUrl in any citations you are writing. Jill Morelli, “How Do You Handle URLs in Citations?” Genealogy Certification: A Personal Journey, 7 March 2014 ( https://genealogycertification.wordpress.com : accessed 7 March 2014), searched for citations & case study. 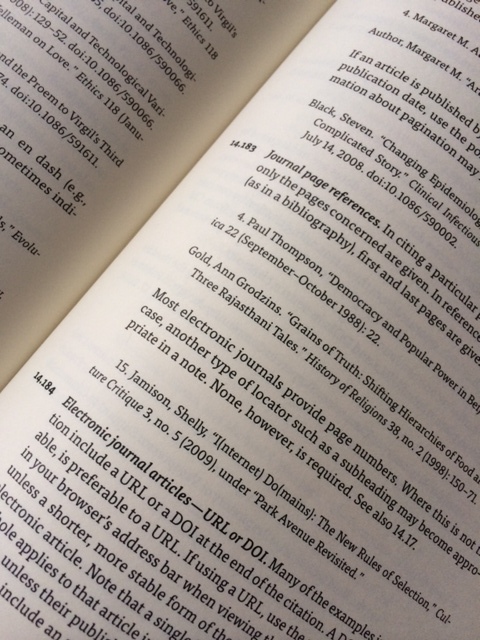 Elizabeth Shown Mills in her book, Evidence Explained, discusses web addresses (URLs) in section 2.37, page 59. Her assertion is that long URLs are subject to change more easily thanthe shorter homepage address and may not link correctly at a later date. We all have encountered the ERROR 404 on a broken link. Broken links are not uncommon even in the most cared for site. Ms. Mills proposes that we use the address of the home page but include any additional descriptors for finding the particular item cited. You can see in the example for this web site the search criteria of “citations & case study.” In a citation for a census image from http://ancestry.com, you might add “search for John Smith, Winchester County, Indiana.” If using the homepage appraoch, Ms. Mills offers no guarantees as websites can still be rearranged, but even if the homepage changes it might be possible to locate the document in the future through the use of Internet Archive Wayback Machine. The use of the Wayback Machine is an option not available if a TinyURL is used. Jill Morelli, “How Do You Handle URLs in Citations?” Genealogy Certification: A Personal Journey, 7 March 2014 (https://genealogycertification.wordpress.com/2014/03/05/urls/ : accessed 7 March 2014). In EE, Ms. Mills indicates the need to use the full address for journal articles and journals themselves. She continues by saying that most style manuals use the full URL  I found it difficult to tell if she was only talking about Journal citations or it was a more global statement. I analyzed each (yes, I really did!) of the QuickCheck Models in EE that pertained to online citations to try to discern a pattern of full URL vs. just the homepage URL. At no time did I find an example using a TinyURL. The full address was used more often, by a ratio of 2:1 (n=34,) than the homepage URL for citations that were related to online resources. In many, but not all, where the short address was used, the citation described the database and not a specific image. In my recent blog about “What is Context Anyway?,” citations have to be responsive to what is being cited. In some cases the “short form” was being used because…it would have been inappropriate to do anything else. but there were examples where Ancestry.com, for example, was cited using the homepage URL and the image was the focus. I checked ESM’s EE web page (https://www.evidenceexplained.com/) and didn’t find any specific information on this topic, but you can read what I did find by going to this link: https://www.evidenceexplained.com/search/node/URL . And, if you find a relevant article somewhere, please share! Whatever is decided, be consistent across types of citations. I will be using the long URL or DOI. I would be interested in your thoughts, especially of those who are “on the clock” or already certified. What I have done since the last posting: spoke to the Eastside Home Economists’ Club on “Soldier, Spies & Farmwives: the Changing Roles of Women in the Civil War.” It was well received; computer was down for 1.5 weeks. I suffered from major withdrawal; worked on my draft no. 2 of my Proof Argument for ProGen; tried to set up a time to meet with my business counselor but had to cancel; encouraged a friend to consider running for Vice President of SGS; worked on presentation of GPS Element #2 for SGS to be given on Sunday. I hope some folks come–its DST! Thomas W. Jones, Mastering Genealogical Proof (Arlington, Virginia: National Genealogical Society, 2013), p. 7. Elizabeth Shown Mills, Evidence Explained: Citing History Sources from Artifacts to Cyberspace (Baltimore: Genealogical Publishing Co, 2007), p. 59. DOI stands for Digital Object Identifier and is tied to the image, not to the website. The link is extremely stable. University of Chicago, Chicago Manual of Style, 16th edition (Chicago: University of Chicago Press) section 14.184. Citation is an art, not a science. — Elizabeth Shown Mills, Evidence Explained, p. 41. What? Dr. Jones speaks of “crafting” a citation and Ms. Mills describes it as an art! In my genealogical infancy, I confidently looked up the type of source in a style manual, found a suitable template and filled in the blanks–no need to read all that text! Now, Dr. Jones and Ms. Mills challenge us to thoughtfully create citations that are responsive to the text and regard the reader–the context. But, this word “context” still has me puzzled. I thought “context” was the sociological or historical or political environment within which we make decisions. How can a source or a citation or the reader have a context? What is “context” anyway? I love that! Weave together–how beautiful! So what are we actually weaving? In 1425, a Middle English writer combined the word “context” with “historical.” Today, genealogists are also introduced to the phrase “historical context.” For example, the decision by Ulysses Grant to stop the exchange of Union and Confederate prisoners confined many individuals in Civil War prisons. More contemporaneously, the decision by the US Congress to reduce spending on research can negatively impact the numbers of young investigators entering the field. A soldier kept in prison for months may become sickly for the rest of his life; a promising student may decide to enter the familial business rather than have a life in research. These are real world individual decisions that are affected by the decisions of politics and history. The individual decision is inextricably tied to the macro event–tightly woven together. So, how does this apply to citations? Let’s look at a relatively simple example–the blog– to illustrate how the context of the item being cited can drive the format of the citation. “What is Context Anyway?” Jill Morelli Weblog: Genealogy Certification: A Personal Journey, 11 February 2014 ( https://genealogycertification.wordpress.com/2014/02/08/what-is-context-anyway/ : accessed 11 February 2014). Jill Morelli, “What is Context Anyway?” Genealogy Certification: A Personal Journey, 11 February 2014 (https://genealogycertification.wordpress.com : accessed 11 February 2014). We can look to the templates provided but ultimately we must think about what are we citing, why are are citing it and what impression do we want to leave with the reader. Thus, the development of the citation is one of mindfulness of the source, the narrative, the reader and the citation. What I have done since the last posting: worked on the SGS newsletter and getting it ready for publication. The feature article is about the Spring Seminar featuring Jeanne Larzalerle Bloom. I met Jeanne at the APG Professional Management Conference prior to SLIG and interviewed her. It should be a good issue. Continued to work on the ProGen assignment–a genealogical proof argument. My topic is the Irish village of birth of Mary Coyne. The client provided me with many family traditions related to their location from which the family emigrated but I am writing a proof argument without the use of any of the clues provided. OED Online. December 2013. Oxford University Press. (http://www.oed.com.offcampus.lib.washington.edu/view/Entry/40207?rskey=7EGr1F&result=1 : accessed 9 February 2014). The OED cites the first usage in 1425, “In the contexte historicalle….” Almost 600 years later, we, as genealogists, use the word similarly. Elizabeth Shown Mills, Evidence Explained: Citing History Sources from Artifacts to Cyberspace (Baltimore: Genealogical Publishing Co., 2007). For blog postings, see 811-813; for cemeteries, see 229; for censuses, see 260; and for church records, see 340. As our internet vocabulary matures, I believe the word “weblog” has evolved to “blog.” I would suggest handling the word “blog” similar to the word “digital image” or “database”. This might the citation looking like: Jill Morelli, “What is Context Anyway?” Genealogy Certification: A Personal Journey, 10 February 2014, blog (https://genealogycertification.wordpress.com/2014/02/08/what-is-context-anyway/ : accessed 11 February 2014). Fast forward to February of 2002… I was bored with writing an assignment in my final year of my master’s degree program. I decided to “take a break” and determine if genealogy software programs could handle source citations better than my attempts 15 years earlier. My immediate goal was a momentary diversion from a tedious paper. My long term objective was to restart my genealogy journey that I had stopped about 10 years before. That night I purchased The Master Genealogist (TMG) software and almost didn’t get the class assignment completed! Why was I so focused on citing my sources? Early in my genealogy career, I understood that genealogy was original research–no different than the paper I was writing for my class. If one approached family history as a scientific endeavor then weren’t the parallels obvious? Two sources help us with the development of strong citations. The present “gold standard” for a citation style manual for genealogists is Elizabeth Shown Mills’ book, Evidence Explained: Citing History Sources from Artifacts to Cyberspace (EE). Mastering Genealogical Proof by Thomas W. Jones illustrates the principles of citation building so they can be built with a reasonable accuracy even without a style manual. The combination of understanding the fundamentals and having templates to assist has given me a greater confidence in the creation of my own citations. For “fun,” let’s compare four citations from Tom Jones’s article “Logic Reveals the Parents of Philip Pritchett of Virginia and Kentucky”  with the EE citation templates. Since National Genealogical Society Quarterly, the journal which published the Jone’s article, follows EE as a standard, one should expect them to be similar in composition with only some variations to respond to the context of the source or the article. Both Dr. Jones (TJ) and Elizabeth Shown Mills (EE) agreed to allow the use of their material for this blog. They also read the draft of this posting in advance of publication. This document embodies their comments. but, as they say, the mistakes are mine. It should come as no surprise that there is strong consistency between the citations addressing specific sources in the article (TJ) and those of the style manual (EE). The variations that do occur are often attributable to the context or clarifying inclusions. As Dr. Jones stated in his email, “Context of the source, context of the citation, and context of its reader should all inform the decisions we have to make while crafting a citation. Different contexts will lead to different decisions about what to include and how to format the elements of the citation.”  This is the “art” of citation building. Bold typography highlights the differences which are then followed by my observations. I recommend you read the Pritchett article to place the citations in their context and to read about the templates in Evidence Explained. I have placed the page number below in parentheses following the “TJ” or the “EE” for your convenience. TJ (29): 1810 U.S. census, Montgomery Co., Ky., p. 377, Philip Pritchet; National Archives and Records Administration (NARA) microfilm publication M252, roll 7. EE (247): 1810 U.S. census, York County, Maine, town of York, p. 435 (penned), Line 9, Jabez Young; NARA microfilm publication M352, roll 12. The differences are minor in nature. The reader can easily determine if the citation adds to the scope, reveals the quality and documents the question. And, I easily found the entry for Pritchet in the 1810 census. Location: the state name is spelled out and the town name given in EE. EE includes the method of placing the page number (penned or stamped) and includes the line number of the household on the page. There are no line numbers on the Montgomery County census digital image listing of the households. I probably would have counted down to Philip and included the entry number in the citation as a alternative to a line number. Head’s Up! TJ’s entry was the first entry citing NARA and so he has written the acronym out and placed NARA in parentheses. EE shows it abbreviated. Another common abbreviation is FHL for Family History Library, Salt Lake City, Utah. She discusses this principle on page 73 of Evidence Explained. TJ (36): Joan W. Peters, The Tax Man Cometh: Land and Property in Colonial Fauquier County, Virginia: Tax Lists from the Fauquier County Court Clerk’s Loose Papers: 1759-1782 (Westminister, Md. : Willow Bend, 1999), 3. EE (646): Joe Nickell, Detecting Forgery: Forensic Investigation of Documents (Lexington: University Press of Kentucky, 1996), 123. The two are the exactly the same form. I puzzle about when and how to indicate the state of the publisher. For example, see the citation below for Black’s Law Dictionary–should I have included Minnesota? Is the correct abbreviation Mn.? See page 72 of Evidence Explained for a short discussion on the usage of postal codes for the abbreviations of states in citations. It appears that TJ could have used MD for Maryland. I have a tendency to write out the state name if it is not foretold by the name of the publisher or obvious by the name. In his email of 31 December, Dr. Jones referred me to the Chicago Manual of Style for a more complete discussion of this topic. I will blog about my findings in the future. TJ (32): Fauquier Co., Deed Book 8:179-81, Butler to Baker (1784); County Court, Warrenton, VA.; Fauquier Co. microfilm 4, Library of Virginia (LVA), Richmond. EE (489): Perry County, Alabama, Tract books, 1: unpaginated entries arranged by legal land description; see Township 21 North, Range 8 East, Section 27, “SW Fraction E of Cahaba,” James J. Harrison, 1833; Probate Judge’s Office, Marion. These two citations are much more alike than I initially thought. TJ included both the buyer and the seller. I like this as I get confused sometimes when I am reading deeds as to the roles of various individuals. TJ gave us more information than the EE template. He did not place the edition in parentheses. EE states that either the date or the cardinal edition can be used. TJ included the publisher and the date. Ultimately, the writing of a citation is an art and not a straitjacket. Thanks to Elizabeth Shown Mills and Tom Jones for taking a bit of their time to assist me in the writing of this article. What I have done since the last posting: I worked very hard this weekend on my Case Study for certification. It is slow going but coming along. I would say that I am half way through a good first draft. It is shorter than some I have seen (you can look at examples of successful portfolios at conferences). I hope that “elegance” of presentation is more important than “weight”. On the recommendation of Karen Stanbury, my mentor in the MGP class, I decided to read some of the Jacobus Award Winners, given annually for excellence in family history writing. What surprised me was the I had difficulty getting any of the books from my local or university library. I recommended to the librarian at the Seattle Public Library that he purchase the complete set of winners. I registered to attend the NGS conference in Richmond. I wasn’t going to go but then decided to cancel out of another trip to Richmond in March and substitute this instead. I will stay with my friend Mary so accommodations are not an issue. I am getting ready for Salt Lake Institute of Genealogy (SLIG) where I will be taking the Advanced Methodologies course from Dr. Jones and others. I am excited and hope to do a little research as well. I am talking to a new client about doing the layout for the memoirs of her father; this seems to be a niche that is a vacuum I can fill. Thomas W. Jones, Mastering Genealogical Proof (Arlington, Virginia: National Genealogical Society, 2013), 33. Elizabeth Shown Mills, Evidence Explained: Citing History Sources from Artifacts to Cyberspace (Baltimore: Genealogical Publishing Company, 2007). Thomas W. Jones, “Logic Reveals the Parents of Philip Pritchett of Virginia and Kentucky,” National Genealogical Quarterly, 97 (March 2009), 29-38. Tom Jones [(e-address for private use)] to Jill Morelli, e-mail, 31 December 2013, “blog posting comparing article with EE citation templates,” digitally filed, Blog file; privately held by Morelli, [(e-address) & street address for private use], Seattle, Washington, 2013. 1810 U.S. census, Montgomery Co., Ky., p. 377, entry 9, Philip Pritchet; digital image, Ancestry.com (http://www.ancestry.com : accessed 31 December 2013); citing National Archives and Records Administration (NARA) microfilm publication M252, roll 7. Henry Campbell Black, Black’s Law Dictionary (St. Paul: West Publishing Co., 1968) 1500. Do citations have to be this boring? Tom Jones in the BCG video states that we should be consistent. My instructor says we should use the Chicago Manual of Style for the humanities. I have two books, 1 quicksheet, and a printout in front of me, and all propose to be based on the same system but all look quite different. Sigh. It might be my downfall. For genealogy “fun”, I got caught up in research on Jens T. Dahle’s 7 months in confederate prison. He was in Libby and Belle Island (Richmond, VA) prisons and Salisbury, VA (said to be comparable to Andersonville). There are some very graphic personal accounts written by the survivors. Since Jens was one of the 2900 released just prior to the end of the war, I suspect his experience was very similar. Of course, this is where the family traditions come into play. in a 1981 community book (very low surety), it is stated that Jens was in prison for four years. Not only is this not true, it is not possible. The exchange of prisoners continued throughout the war until the Spring of 1864 when Grant figured out it was prolonging the war and not hastening its end. Up until that time, some soldiers tried to get captured so they could take a rest out of the war and then be repatriated under the “gentleman’s agreement” that they would not fight again! It also states that he weighed 85 pounds upon release. Possible, but not able to be verified unless there are some extant hospital records, which I doubt. I am seeing the light at the end of this citation tunnel but then there are the other documents to cite as well. Oh, well. I still stand by my method of writing first and cite second. There has been very little I have had to delete or make major modifications to to allow for full footnoting. Do you think that citation theory is over the top? What are your thoughts? What I have done since the last post: researched confederate prisons, especially Libby, Belle Island and Salisbury. The quantity of material is amazing on the Civil War. I considered shifting my focus of my class paper from nursing to prisons but decided not to. I like the female revolution aspect of nursing! (did you know that Walt Whitman was a nurse in the Civil War; drove an “ambulance”, i.e. wagon.). I attended class and a small group of more experienced researchers are “finding ourselves.” We have, I have now discovered, several people in the class who are newbies to using a computer. It will be hard for them, I think. This is in contrast to the woman next to me who did research on her smartphone through the class! I love it. What are some of the issues related to sources and citations? Lately, as you know, I have been struggling with my lineage report. By Tom Jones’s admission on the BCG videos, it is the most complex report of all that are written. Should I cite as I go along? Should I write some and then cite? What if I do not have the source for the citation (doesn’t happen often)? What if I want to include information about X but I have no source at all? What if the source is in Iowa and I cannot go there to get it? I decided to do a little writing and a little citing! It seemed like the right balance. I actually like the act of writing the citations. I went to my public library and copied the Elizabeth Shown Mills September 1999 NGS special edition about Evidence. I particularly liked the graphic way she defined the words sources, information and evidence. I asked a friend of mine in Iowa to see if they had the birth certificates I was looking for. They were supposed to be at the county level. Unfortunately they didn’t have any of them, so I have to go to the state. I might not get them for two months! She, however, did find the land purchase document for my ggrandfather’s farm and I am excited to get that! So, sometime we just have to incrementalize what we are doing, make a list and check things off. This will be my last post until mid-next week. Happy hunting! What I have done since the last post: copied many of the recent NGS annual writing awards (usually lineage reports) to get ideas about my own. Big takeaway: have a theme for your lineage and do not be afraid to write narrative at the beginning to provide context.